Ever wondered why Bengali women make sound with their tongue during auspicious occasions? It is an age-old tradition called Ulu-dhoni which means, a howl-like sound. Be it weddings or festivals like Durga Puja, this tradition is followed to bring in auspiciousness and drive out negativity. This unique tradition is followed along with the blowing of the conch and it is also said to drive away evil spirits. Dhunachi Nritya (Dhunachi Dance) is very common during Durga Puja in West Bengal. 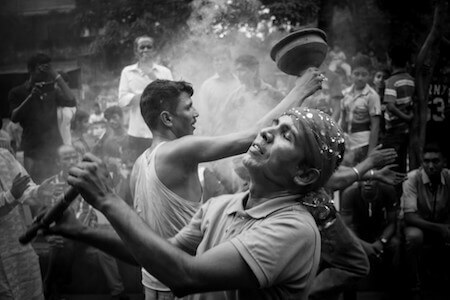 Devotees hold Dhunachi, an earthen bowl used as incense burner and dance to rhythmic beats for appeasing Goddess Durga. 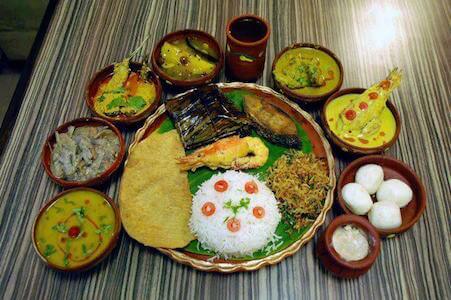 It is an age-old tradition for Bengalis to cook and eat 14 Shaks (leafy vegetables) a day before Kali Puja. During the month of Poush (December-January according to the Bengali Calendar), Bengalis make delicious sweet food items (Pithe Puli), using sugar, rice powder, jiggery, milk and sweet potatoes. 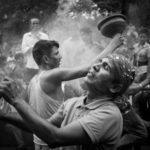 In the morning of Dashami (Dussera), priests place a small mirror inside a water-filled earthen bowl and keep it in front of Devi Durga’s idol. The mirror is placed in such a way that the reflection of Devi Durga shows on the immersed mirror. This is a way to say adieu to the goddess. 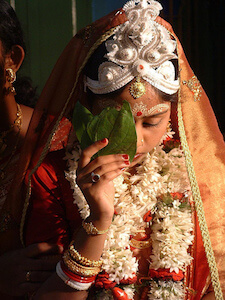 In Bengali weddings, families of the bride and groom give gifts to each other which is called Tattva. The groom’s family brings a new saree for the bride that she needs to wear during Gaye Halud ceremony along with a large, decorated Rohu fish, oil, personal grooming products and sweetmeats. As part of Gaye Halud, turmeric paste is applied on the groom’s body and this paste is then carried along with Tattva to the bride’s house. The same paste is then applied on her body. Snan (bath) is a Bengali tradition in which water brought from the water body (preferably River Ganges) is used for bathing the bride. All married Bengali women wear Shakha Pola and loha bangles that are meant for prosperity and good health. 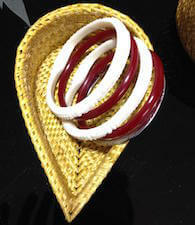 Shakha is a white-colored bangle made of conch-shell whereas pola is a red-colored bangle made of red corals. 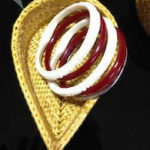 Loha is a thin bangle made out of iron. The ritual of making the bride wear the Shakha Pola bangle is performed by at least six to seven married women. The bangles are dipped in turmeric water and then presented to the bride. 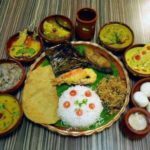 Whether you are planning to visit Kolkata for Durga Puja or you want to make friends with a Bengali, learning Bengali language can help you multiply the joy of every occasion. If you don’t want to take up online courses, you can try AlterGyan’s Learn Bengali Quickly language app. This offline app has 1200+ commonly used words and phrases in Bengali language voiced out by a native speaker. While you are on the go, you can use this app to learn Bengali with flash cards, quiz and recording features.